Everyone knows the routine: change your diet, walk more often, and count calories. These are the most common themes that come up when trying to lose weight, and they all help. 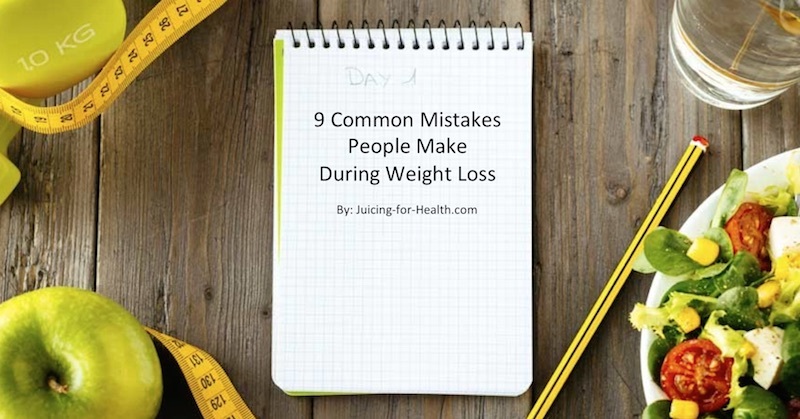 But what are the mistakes most people make during weight loss? Three nutritionists weigh in on the mistakes people make when trying to lose weight. Stephanie Clarke, R.D, Willow Jarosh, R.D., of C&J Nutrition, and Mitzi Dulan, R.D., author of The Pinterest Diet: How to Pin Your Way Thin, have theories as to what dieters are doing wrong. Hunger typically follows a schedule, but can strike at any time. When you’re unprepared, you make unhealthy decisions. Take some time to sit down and map out your meals and snacks for a week or two. Use a list when doing groceries to make sure you get your week’s worth of fruits and veggies. Stephanie Clarke recommends planning ahead as much as possible. If you have the healthy food on-hand when you’re hungry, you’ll eat it “which is the key for sticking to healthy eating for the long-term,” she says. “Consider whether you’ve shared your goals with the people closest to you,” says Willow Jarosh. If they don’t know you’re trying to lose weight they will inadvertently sabotage your weight loss goals. Tell family, friends, and coworkers that you’re trying to lose weight and they’ll support you. Having support makes it easier to stay on track, and they may turn into your own diet-police force, helping you stay away from snacks and keep on track. Carb-free, high-protein diets just don’t work. And here’s why: “It’s just not sustainable or healthy,” says Mitzi Dulan. “You’re missing out on vital nutrients” from fruits, veggies, beans, nuts, seeds, and whole grains. These foods have compounds that keep your gut bacteria happy and effective, keep your digestive system regular, and help you feel satisfied and satiated. If you don’t get enough protein, though, it can also lead to weight gain. “Since protein helps you to stay satisfied, it is important to make sure you are eating it at every meal,” Dulan says. A proper, balanced diet is important at every meal. “Drinking on an empty stomach can lead to quicker intoxication,” Jarosh reminds us, which leads to unhealthy choices. If you’re trying to maintain a diet, you’ve got to stick to your rules. Skipping dinner for cocktails—even if the caloric intake is the same—you’ll miss out on valuable nutrients, and your blood sugar will inevitably drop. Low blood sugar levels lead to bad decisions, and so does intoxication. 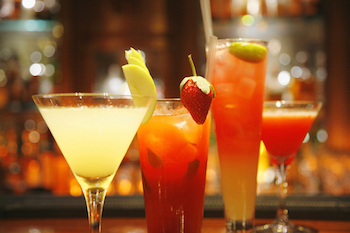 Some drinks are full of hundreds of empty calories, so they’ll leave you wanting. Limit calories from beverages when trying to lose weight, but don’t necessarily skip out on your favorite foods. The reason diets seem bleak is because most people withhold things from themselves. If you can include the foods you love—chocolate, wine, ice cream—in small amounts, you’ll prevent an urge to undo everything you’ve built. Stephanie and WIllow encourage the idea of a “treat bank”—150-200 calories of “whatever you want” each day. After eating healthy for a while you’ll find that your taste buds begin to change and you will soon switch to healthier options. “Diet” foods can make claims on the label because what is reduced is made up for elsewhere. Reduced-fat peanut butter has extra salt and sugar for flavor. And our brains trick us. We think these diet-foods are better for us, so we eat more. All three nutritionists agree on choosing real, whole foods, and limiting the processed food. 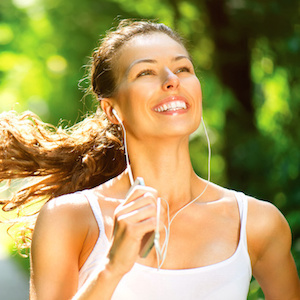 If you think more exercise beats the extra calories you had at lunch you’re plain wrong. Doing this actually promotes an unhealthy relationship with both food and exercise. A 30-minute run only burns about 250 calories, so the extra dessert won’t be exercised away and you’ll end up gaining more weight. Working out complements a healthy diet—it doesn’t make up for an unhealthy one. “One cheat day can undo all the weight-loss work you’ve put in during the week,” warns Willow. “The only person you’re cheating is yourself… and that’s not good in the short term or the long term.” Sticking to one small treat each day is better for your body and brain-health. Not keeping a food journal is an easy way to fall off track. “Research has shown this to be a major key to success for people who lose weight and keep it off,” Mitzi explains. You should keep track of every bite you take during the day, and record your weight every morning. These practices help to keep your head in the game and keep you focussed on your weight loss goals. These common mistakes can be overridden easily, you just need to know where to look. And now you’ve found it. Share your weight loss goals and successes with us!